Jordan is a country musician living in the shadow of his father, bluegrass legend Walker Bayne. A man who has made a lifetime of poor decisions, Jordan bounces between dive bars, accruing women and drinking himself to the brink of disaster. 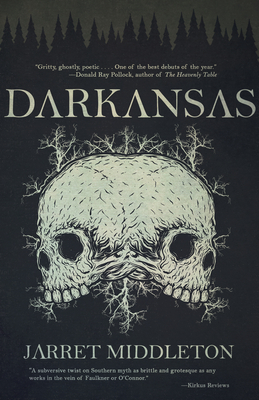 When he returns home to the Ozarks for his twin brother's wedding, Jordan discovers a curse that has haunted the Bayne family for generations. As old tensions resurface and Jordan searches for a way to escape his family's legacy, a mysterious hill dweller and his grotesque partner stalk the brothers' every move, determined to see the curse through to its end. Praised by Donald Ray Pollock as "one of the best debuts of the year," Middleton establishes himself as a novelist in good company with Brian Panowich and Smith Henderson, yet in a category all his own.